It’s that time of year again, Apple’s 12 days of Christmas (not the generic holiday term) where the Cupertino giant gives away freebies starting from the 26th December. To get your daily freebie all you need to do is grab the app from the and I’d recommend leaving on push notifications to get alerted when the next freebie lands. Day 2 : Africa Episode 1. Kalahari. 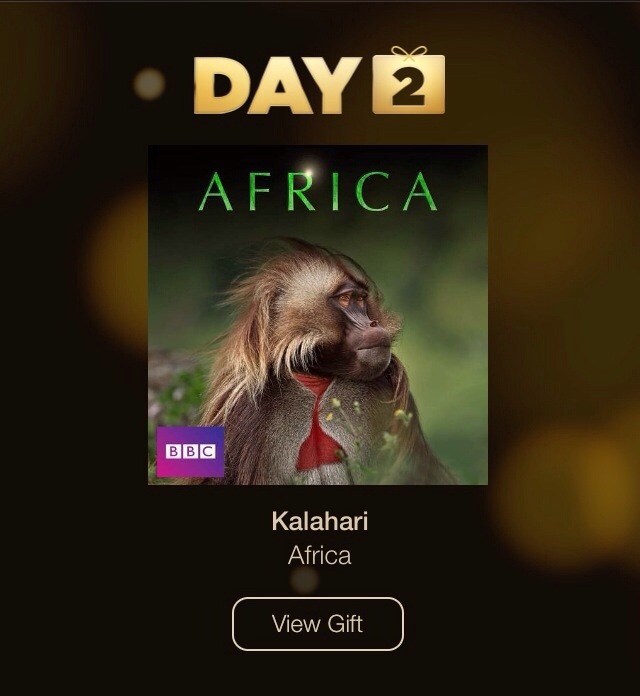 Apple hasn’t listed todays gift for £12.99 – or whatever it might equate to elsewhere – it is definitely listed for free. 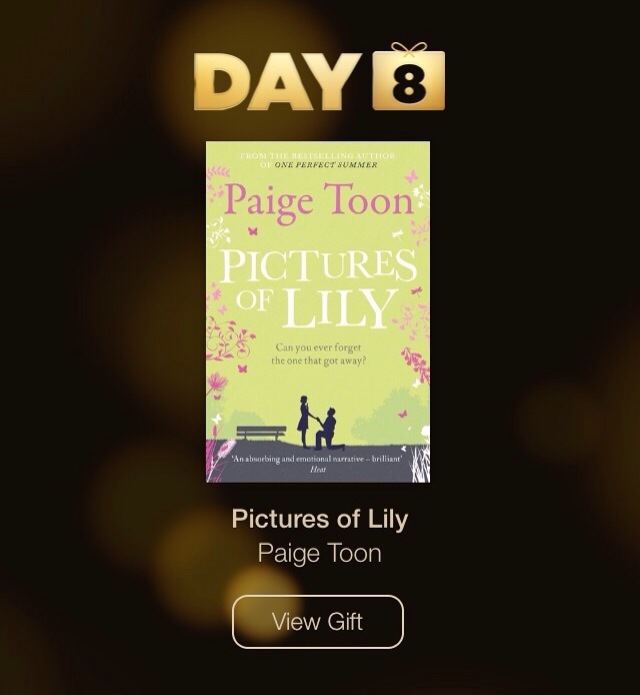 Yes, tapping view gift takes you to something priced at £12.99, but that isn’t the gift. Take a closer look at the image above, where “Kalahari” is clearly displayed, an episode from the BBC series “Africa”. Tap on the same episode when you’re sent to the iTunes Store and you’ll see that it is indeed a free download. Apple’s mistake isn’t pricing their gift, Apple’s mistake is not taking you directly to the episode that’s free. Day 4 : Toca House – Toca Boca AB Seems to be a game where you move into a house. Odd this is a free giveaway as it’s got 2.5 stars and is for kids between 2 – 6 ages. Day 5 : Home alone. One of the Xmas classic films It’s either this or Die Hard that really says the holiday season has started. Day 6 New Year’s Eve Mix – Single – Avicii Did you know that Avicii teamed up with Ericsson and creates the first “crowdsourced” track which enabled the producer to connect to fans and promote his brand. Day 7 Rayman Jungle Run – Ubisoft The legendary platforming hero is making the jump to your favorite iOS device! Rayman Jungle Run is powered by the same UbiArt Framework engine that brought you Rayman Origins – Winner of numerous Game of the Year and Platformer of the Year awards. Even if you aren’t a fan of Justin Timberlake the whole iTunes festival offerings are worth checking out. 30 days of live music all for free. What other company in the world would do that for their customers? Africa Episode 1. Kalahari. 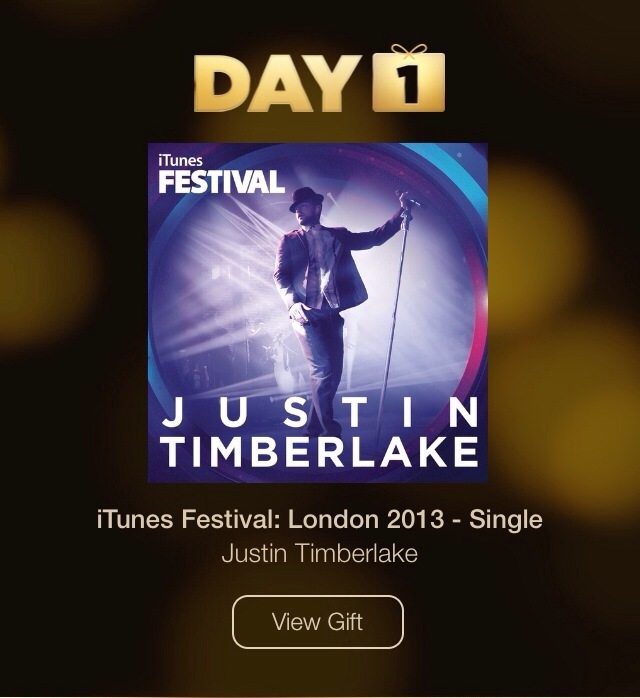 Apple hasn’t listed todays gift for £12.99 – or whatever it might equate to elsewhere – it is definitely listed for free. 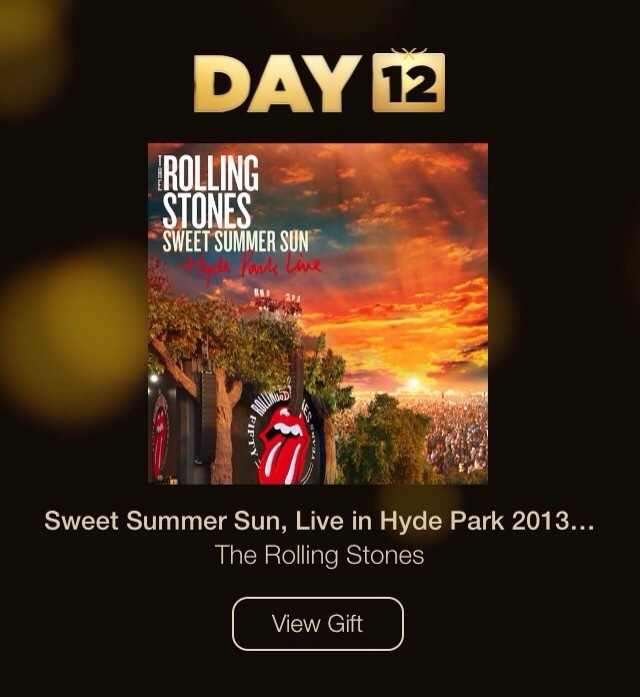 Yes, tapping view gift takes you to something priced at £12.99, but that isn’t the gift. Day 4 : Toca House – Toca Boca AB Seems to be a game where you move into a house. Odd this is a free giveaway as it’s got 2.5 stars and is for kids between 2 – 6 ages. If you look at the full range of apps they have a wife array of educational apps available. Day 6 : New Year’s Eve Mix – Single – Avicii Avicii teamed up with Ericsson and creates the first “crowdsourced” track which enabled the producer to connect to fans and promote his brand. The single “3 Million” was released to celebrate the 3 millionth fan on his Facebook page. “Le7els” was nominated for the Best Dance Recording at the 2013 Grammys but lost out to Skrillex & Sirah’s “Bangarang”. 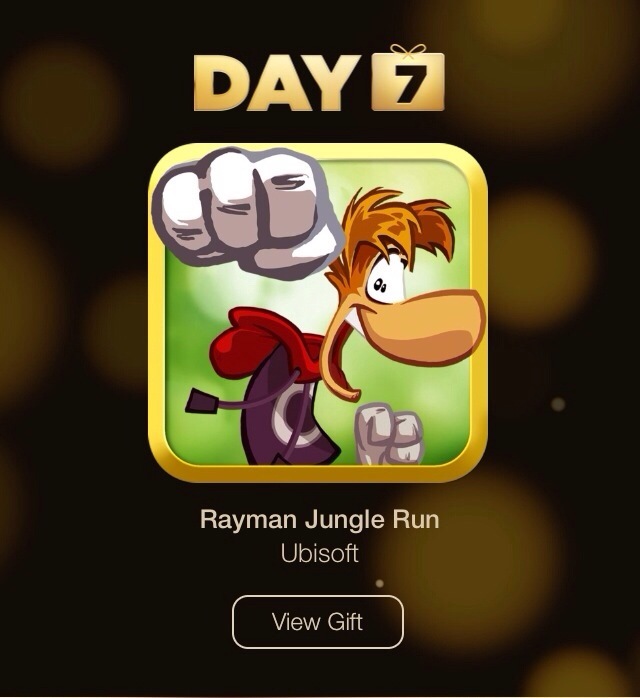 Day 7 : Rayman Jungle Run – Ubisoft The legendary platforming hero is making the jump to your favorite iOS device! Rayman Jungle Run is powered by the same UbiArt Framework engine that brought you Rayman Origins – Winner of numerous Game of the Year and Platformer of the Year awards. I look up at Richard with his hopeful eyes. ‘Lily?’ he prompts. Ten years ago when Lily was just sixteen, she fell in love with someone she really shouldn’t have fallen in love with. Now, living in Sydney and engaged to another man, she can’t forget the one that got away. Then her past comes back to haunt her, and she has to make a decision that will break her heart – and the heart of at least one of the men who love her. 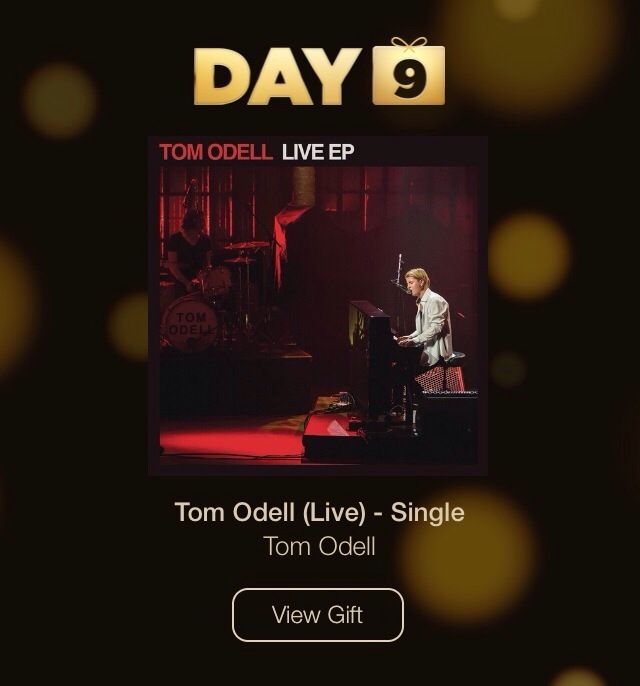 Born in the West Sussex town of Chichester, British singer/songwriter Tom Odell spent his formative years studying at the Brighton Institute of Modern Music. Raised on a steady diet of Elton John, Leonard Cohen, and Bob Dylan, Odell’s songs are emotional, raw, and hushed affairs that have drawn comparisons to Jeff Buckley. In 2012, after landing a record deal with Columbia Records, the then-21-year-old released his debut EP, Songs from Another Love, made his television debut on Later… with Jools.. Revisit “the world’s greatest villain” and his mischievous crew in Despicable Me Presents: Minion Madness. Never seen in theaters, these three marvelous mini-movies capture the further adventures of the beloved and hilarious Minions. See what happens on “Orientation Day,” when Gru’s newest workers begin their training. Then, chaos takes charge in “Home Makeover” when Margo, Edith and Agnes recruit the Minions to make their house more family friendly. And finally, what begins as a typical lunch turns into a free-for-all in “Banana.” For big family fun, all you need is a little Minion Madness! 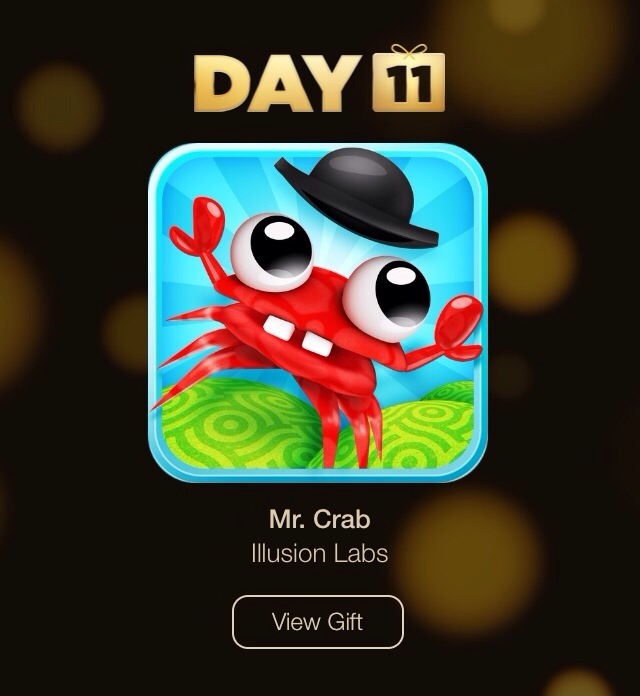 Day 11 : Mr. Crab – Illusion Labs Mr. Crab is a super fast arcade game with a twist. Take control of Mr. Crab and jump your way to the top, rescuing as many baby crabs as possible. Just tap on your screen to jump and climb to reach the top of the ever-spinning tower. But be aware, there are some foul enemies that will do anything to stop you.. Today it’s another kids offering making me wonder what’s out there for the gaming adults for us. This years offerings have really been a mish mash of themes. Previous Previous post: The Apple Mac Pro Now Available.